Congratulations to "Christine", the winner in Rachel's giveaway. Thank you to all who participated! You would think after almost a decade of practicing law, I’d want to write books about non-legal topics. But I find myself drawn back into the fictional legal world time and time again. My new release, EXPERT WITNESS, is about a forensic sketch artist named Sydney Berry who is testifying as an expert witness in a murder trial. The accused is a well-known businessman who has ties to organized crime. Sydney has been through so much in her life, including a violent past. But she is a fighter who refuses to let the past define her. Sydney becomes a target because her testimony could lead to a guilty verdict. U.S. Marshal Max Preston is fiercely loyal and has a tremendous amount of respect for Sydney—including the fact that she’s willing to testify even given the great risk to her life. I had so much fun writing this book. Taking my real life courtroom experiences and transferring them into a world with all the excitement and drama but none of the mundane tasks. Are you a legal junkie when it comes to books and TV shows? Which ones are some of your favorites? 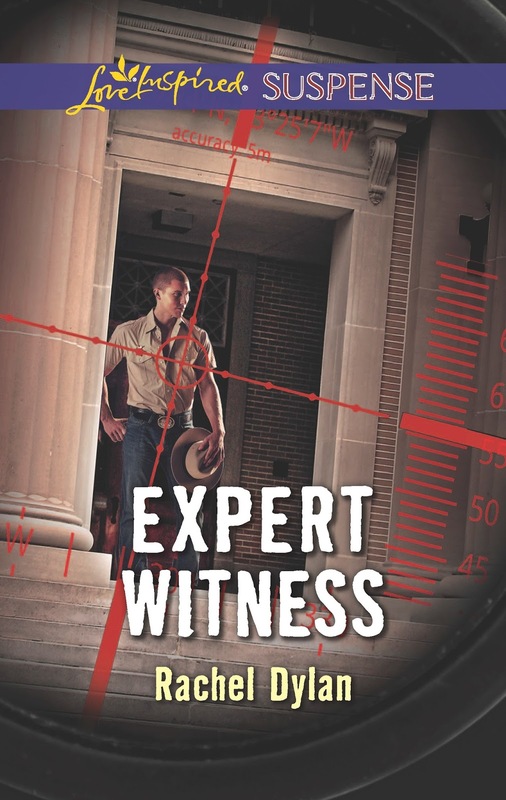 Rachel will be giving away one ebook copy of EXPERT WITNESS to one commenter or email entrant. Rachel Dylan writes inspirational romantic suspense for Love Inspired Suspense and the Windy Ridge Legal Thriller series. Rachel has practiced law for almost a decade and enjoys weaving together legal and suspenseful stories. She lives in Michigan with her husband and five furkids--two dogs and three cats. Rachel loves to connect with readers. You can find Rachel at www.racheldylan.com. I love all the Legal type shows that show the process of getting the "bad guys"...My Daughter and Son in Law are both in the Corrections field so it hits close to home...add in the Romance and what is not to like...I would love to win, thank you for the chance! Thank you! I love it when the bad guys get caught! Congrats to Rachel on her new release!! Looks and sounds awesome :) thanks for sharing! I enjoy books like this one! Congrats on this release! I like what I see! Maybe you can give this one a try! I do enjoy watching legal TV shows. I am a fan of John Grisham's books, but I cannot recall reading any other books like that & this. Well, I can't claim to be John Grisham:) Thanks for stopping by!